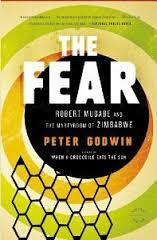 Peter Godwin was born to English parents in Rhodesia part of which became Zimbabwe under Robert Mugawe. He’s written about this experience and much more in two other memoirs which might be considered a trilogy, “Mukiwa: A White Boy in Africa,” and “When a Crocodile Eats the Sun.” I read the latter and thoroughly enjoyed and I’ve been wondering about Mugabe and company ever since. I really feel I should read the first one, too – for interest. 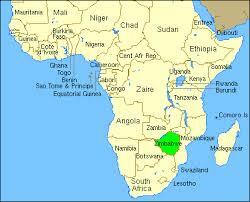 I seem to be on a southern African kick – this book, J.M. Coetzee’s Scenes from a Provincial Life – a trilogy, and Violet Bulawayo’s We Need New Names all in the space of a couple months. This book answered many of the general questions I had, but certainly not all. For one thing, Godwin admits that his mission is to “give evidence,” it’s definitely a pro-rebel sort of book – an graphic expose of Mugabe’s bloody tactics – sometimes known as “The Fear.” The book starts out when Mugabe loses the presidential election in 2008 and shows how he remained in power. Gruesome. I’d been wanting more of an inside report on Mugabe but that might be close to impossible – what I got was in inside report on those who have been imprisoned and tortured by him and his troops for the last 35 years or so. He’s wins elections via these methods, he breaks ties via these methods, he overturns results via these methods – he stays in power through the use of raw, violent power. Period. 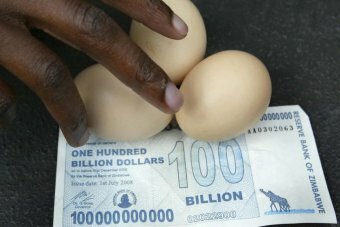 100 billion Zimbabwian dollars buys 3 eggs. On a trip to secure a burial plot for their mother who is dying in London, Godwin and his sister, Georgina, visit political opponents – including the American ambassador James McGee, dispossessed white farmers, hospital personnel, artists and activists – anyone who will talk to them about the terror which has been visited upon that country. And Godwin travels quite a lot within its boundaries. It gets a bit repetitious at times, the same things happen to different people over and over, but the seeming overkill has an effect. The most touching scenes are those where Godwin connects with his mother (who wants to be buried at home in Africa, next to their father) and the places and people of his childhood. His father and a sister died there. His mother was a doctor. I was probably most interested in the ambassador’s visit and the hospitals and what happened to the white farmers but I really wish he’d gone into a bit more about the diamond and gold digging (of course I understand perfectly well why he didn’t). There’s a fascinating interview with Godwin following the main narrative. If you’re interested in the problems and issues of southern Africa I highly recommend this book – Mugabe remains in power even after having been defeated at the polls – I’m not sure about why – he’s 90 years old, but has no plans to retire. How can he anyway? In whose hands would he leave the country – I sense that the government and ruling party has deep divisions within its ranks – Mugabe probably initiated and leveraged those divisions. On the other hand, is someone holding him up back there like a puppet -the hero who got independence for Zimbabwe (back in 1979) and rewarded his soldiers with farms and the right to terrorize? The prison descriptions are probably the worst but the bravery of the friends and relatives is astounding – the willingness to stay there in the country is amazing.